When people think of China, they often think of the Great Wall, rice terraces and pandas. The Silk Road, stretching from Xian all the way to China’s western border, is mostly overlooked. Too inaccessible, too remote, and why would you travel there if there’s so much to see in the East? But think again. Remote means less tourists and a chance to get off the beaten track. Plus, trains make it easy to travel in between cities. 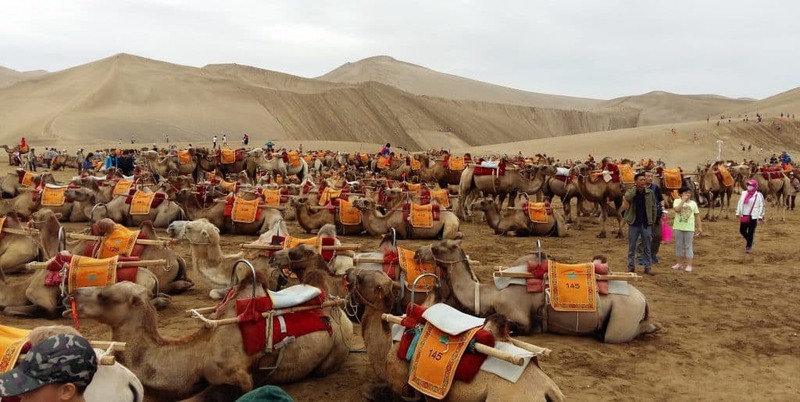 The Silk Road has a lot to offer, from desert towns to Tibetan monasteries and natural wonders. Not convinced yet? Read on and I will show you the highlights along the Chinese Silk Road, from the Kyrgyz border all the way to Xian. Kashgar was our first stop in China. Once an important outpost of the Silk Road, the Old Town and the Sunday bazaar are the only reminders of its past. Take your time exploring the alleys of the Old Town or walking around the great bazaar and appreciate the mix of cultures you can experience here. With the majority of the population being Uighur, one of China’s ethnic minorities, Kashgar is a funny mixture of China and Central Asia. If you’re curious about what else there is to do in this city, read up on it here. 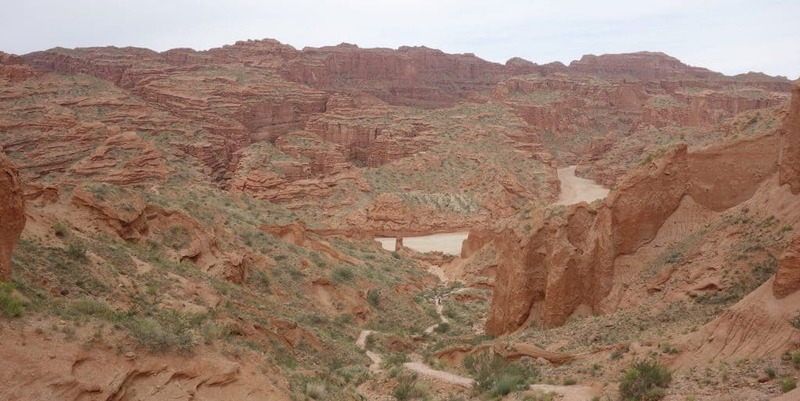 Wensu Canyon is located on the edge of the Taklamakan Desert, close to the city of Kuqa. Driving through the desert, I did not expect to find such spectacular landscapes here. First, the mountains turned into ribbons of colour unlike anything I had seen before. Then, as we drove on, the stone formations got more and more bizarre and spectacular at the same time. We stopped in the middle of the canyon to go for a walk. If you bring enough time, you can find excellent hiking opportunities here. 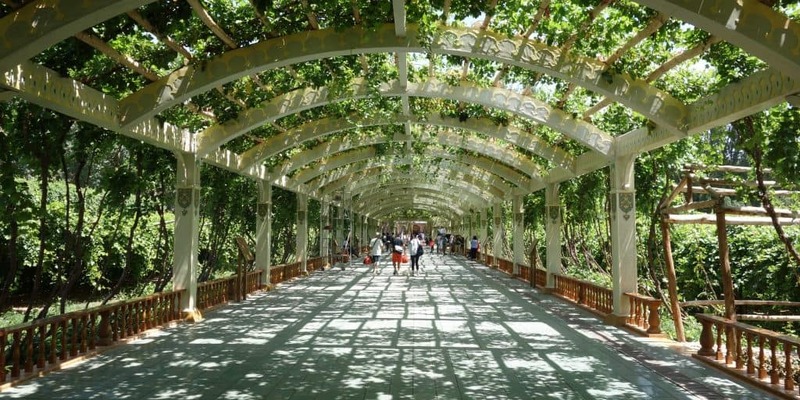 Turpan has a lot to offer. From the ancient ruins of Jiaohe to the wineyards and the second lowest point on earth, you won’t run out of things to do. 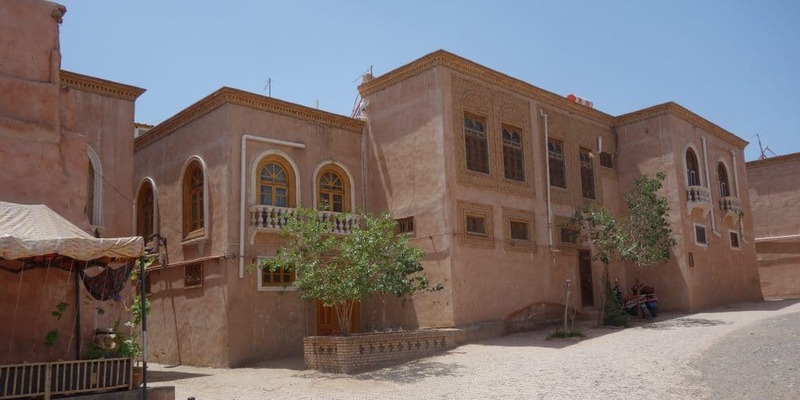 The city of Yar is supposed to be one of the best preserved ruined cities in the world and you will be surprised by the clever irrigation system that has been used for hundreds of years to survive in the desert. If you’re looking for something different to do, go to the Turpan Museum and admire the dinosaur bones that have been found in the area. 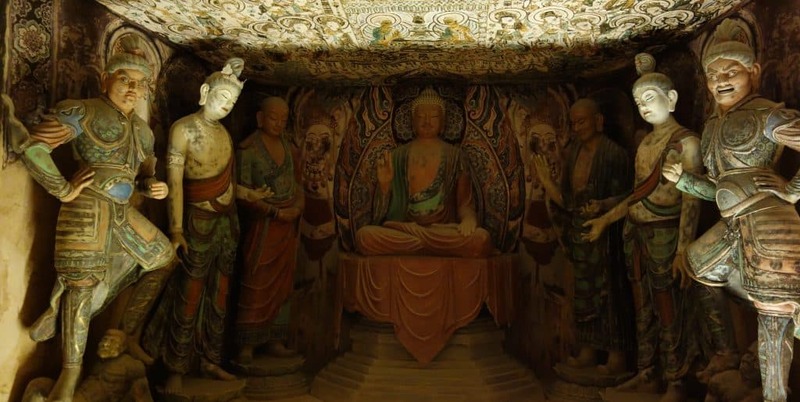 The Mogao Grottoes are one of the most stunning examples of Buddhist art in the world. Created between one and two thousand years ago, they show a wide range of styles and techniques. You will get a guide as you walk around the caves. They will choose which ones to see and they will also explain the murals and statues to you. With more than 400 temples in this complex system of caves, it is impossible to see all of them. Just make sure not to miss the spectacular lying and giant standing Buddhas at the end of your visit. I loved Crescent Lake near Dunhuang. A small oasis in the middle of sand dunes, it is a centre of activities. You can walk to the lake and admire the pagoda built next to it, climb up the sand dunes and then run and jump down again or ride a camel. While you are up there, swaying in the saddle, think of the merchants who used to cross whole deserts by camel. If those activities haven’t worn you out yet, there is also the possibility to see the Crescent Lake from above by flying with one of the motorised gliders that you see soaring above your head all day long. The fort of Jiayuguan is the westernmost end of the Great Wall of China and definitely worth a visit. Here, you can walk through ancient courtyards, climb on top of the wall and participate in a number of activities. 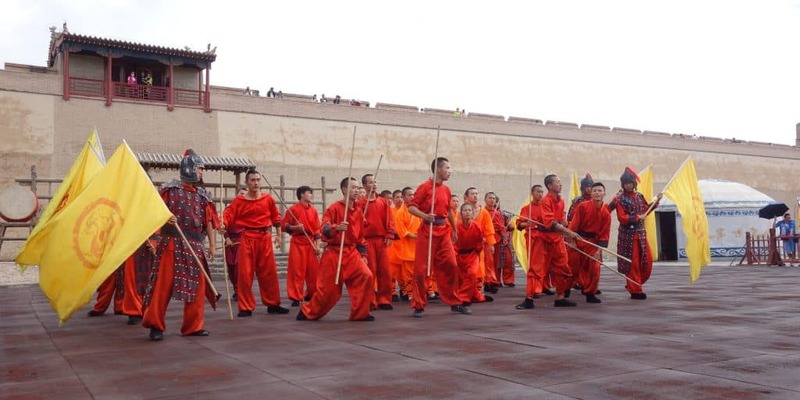 When we went there, we were lucky enough to see a Chinese opera performance, try our hands at archery and watch a kung fu and Chinese acrobatics demonstration. The kung fu show was my highlight of our visit, but even without it, the fort is worth going to. Besides the fort, Jiayuguan also has a few more interesting sites, one of them the Overhanging Great Wall. We camped next to it and were almost alone when we climbed it in the afternoon. Plus, the sunset over the wall was spectacular. 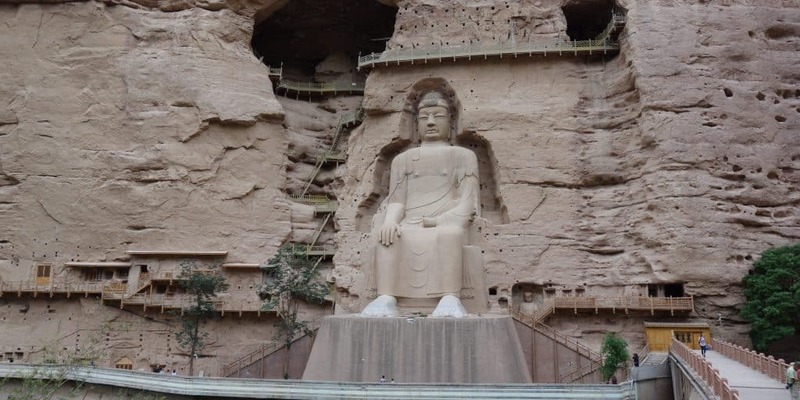 The Bingling Si Caves are not only worth visiting for their giant sitting Buddha but also because the boat ride on the Yellow River takes you past spectacular scenery. Once you start going into the valley to see the caves, you will come past many smaller, elaborately decorated ones before seeing the giant Buddha in the end. On your way back, climb up to Waterfall Cave to see the beautiful temple constructed there. The waterfall only consistes of a wet wall at the back of the cave, but the temple stretches out over several levels and small chambers. The Tibetan Plateau stretches farther north than I would ever have imagined, coming up all the way to the Silk Road. While Tibet requires extensive planning and travel permits, the Tibetan Plateau is easy to visit. Busses connect the town of Xiahe to the rest of China. 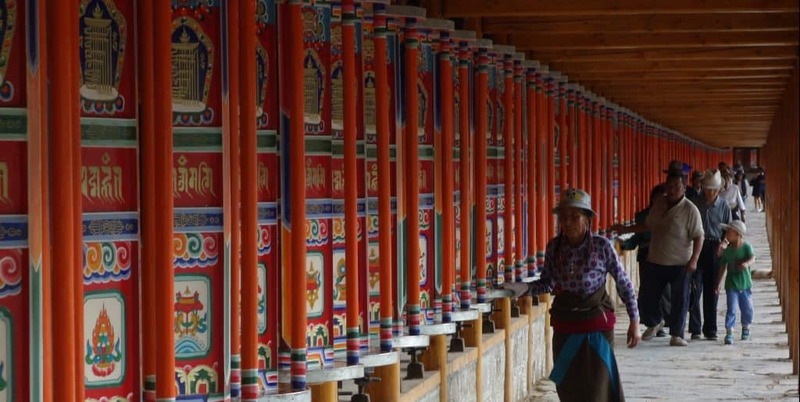 Come here to see the Labrang Monastery, a place that can easily keep you occupied for a day or two. More than a thousand monks live in the complex. It is worth circumnavigating the buildings by following the prayer wheel path. If you spin every single one of them, you will have spun around 1700 prayer wheels, some tiny, others huge, golden and heavy to turn. Another monastery worth visiting, although a bit away from the Silk Road, is Langmusi Monastery. It is less touristy than Labrang Monastery and you will enjoy visiting it without the crowds of the Labrang Monastery. 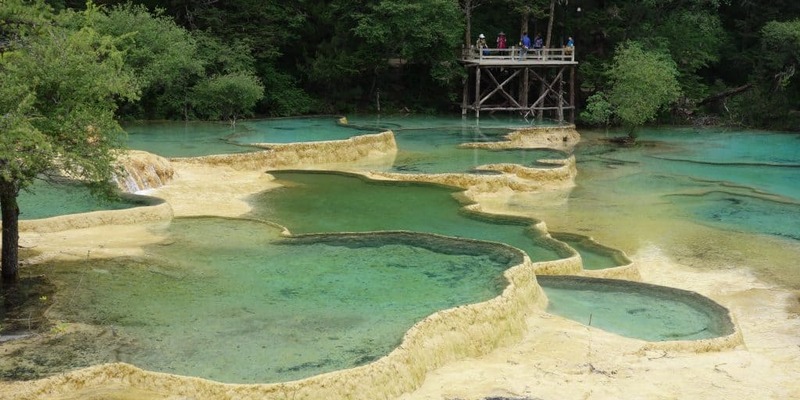 Huanglong means ‘yellow dragon’ in Chinese, describing the shape of this natural wonder when seen from above. The travertine terraces form a yellow dragon sneaking its way down the mountain valley. From close up, natural pools glister in various shades of blue, from turquoise to light blue, green and the yellow that stands out from above. Some of the ponds have funny names (beauty-competing pond or body-washing cave), but they are all stunning to look at as you walk down. Xian, often considered the end of the Silk Road, has a lot to offer. 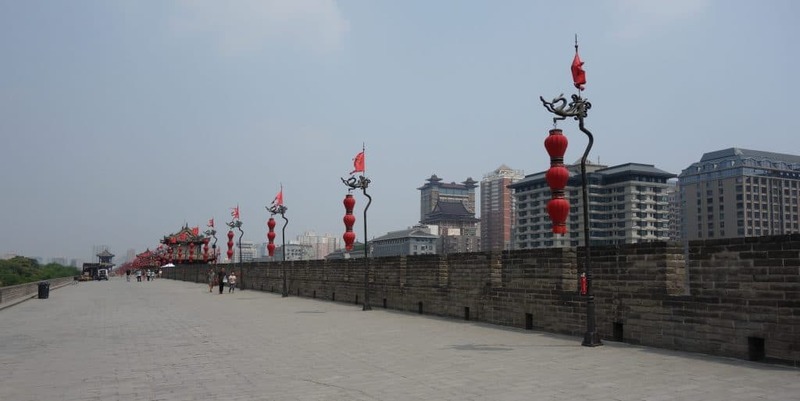 From the Terracotta Warriors to the Muslim Quarter and the tandem bikes on the city wall, you won’t get bored. While the Terracotta Warriors get most of the attention, it is the Muslim Quarter that I fell in love with. We went out for dinner at the night market, trying as many different things as possible, visited the Great Mosque and bought our souvenirs here. If you’re visiting in summer, I highly recommend the fans. Mine was only about 1,50$ and has already lasted me more than a month (and it has made the stiffling summer heat a lot more endurable). Don’t forget to climb up the city wall and ride a bike here, as a great way to circumnavigate the city centre.